Haul your double-horned guitar in style. 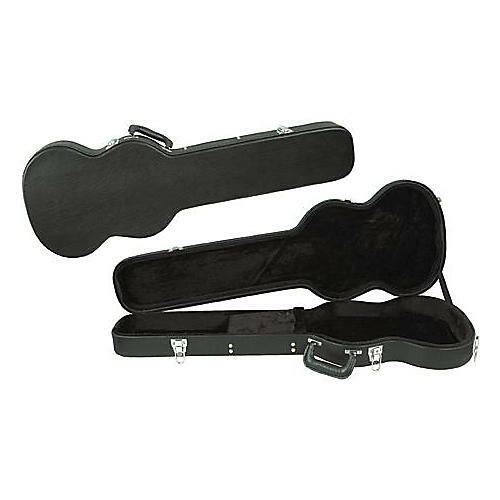 This hardshell guitar case features 5-ply wood construction, plush lining, steel hardware, and a molded plastic handle. Tough textured vinyl surface. Designed to hold Gibson SG guitars. Interior dimensions: 40-1/2" H x (with a 17" H body) x 13-1/2" W (lower bout), 11-1/2" W (upper bout) x 3 D"